So I tweeted Alia my friend, since she knows how to get there.. And she agreed to tag along.. So I fetch her at her house, to accompany me and show me the way to get to the Empire.. When we arrived at the macaroon bar, we saw only a few macaroons left for us! Sobs! But 10 pieces is enough la kan..
My fave one is peanut (the one in blue) and chocolate. Yum!! And then we ordered their pizza too! Pon sedap!! I like the idea that they served their pizza on this some sort of..erm... like a chopping board! How cool! "Alaaa..something wrong with my tweetphoto.. Why can't I upload the photo of this Red Velvet cake?! Why god, whyyy?! Sobs." "Hmm..I really hope there's nothing wrong with my BB or my tweetphoto! tskk.."
"Ok good! It's on now! Umm..nak tweet apa eh? Lupa dah tadi.."
"Hmm..this Berry Chiller tastes goood! Tweet pasal ni lah!" "Ohh..there's a camera in front of me! Look Wani, say cheeese!" After we've done with our food, I ordered some take outs too. Another 10 macaroons, 2 Red Velvet cupcakes and a slice of Hummingbird Cake.. They were for my mother and brother at home! And they love it too! Hari tu Hanis, now u plakk. Adehhh bila nak sampai Empire ni? Nak try macaron tu jugak. RM for RM18 ok la.. Tak la mahal sangat. wow... sedapnya... tempat nie kt area mana erk? aah memang menakutkan tgk red velvet tu..tapi sumpah sedap kan? kiut nya colorful macaroons tu! next time you're there do try out their hummingbird (or something) cake. that one is equally sedap as their red velvet cake. environment dia best kan eventhough it's wee bit small. and oh opposite whisk ada kedai nama serai. their pavlova (i never tasted alexis' pavlova, so i don't know if alexis lagi sedap) and lychee cheese cake sedap! where did you buy all your rings? semuaa cantikkk! may i know where is this place situated?? reena: yup! 10 for 18 bucks ok la kannn.. Pergi la try one day! sebab mmg sedap! aida narina: yup2! sila try! eisha: hehehe..my mom pon takot tgk sbb merah sgt! mya: kan kan kannn! sesuai serve kalau ada birthday party ke apa..
anonymous: err..all over the place! hahaha.. well..ada yg beli dkt aussie/holland/paris/bangkok/kl/etc la..
u can get them at diva or forever 21..they sell a lot of pretty rings! msiu: its in empire mall in subang..
i went to empire mall a few weeks ago and perasan this one cafe, which i think is Whisk kot (is there like a mini papan hitam kat luar cafe tu?). didn't bother to check it out tho sbb ramai sgt org n macam sempit...but if i knew they have macaroons, mesti pegi! 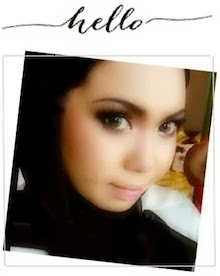 p/s: u look like a doll with that contact lens! tu Geo lens izzit? yup2. that's the whisk shop! thanks..but no, thats not geo lens. geo lens tu da lama tak pakai. dia buat mata aku pedih. huhu.. yg ni aku beli dekat focus point...brand x familiar.. brand from singapore ke apa tah..
wany..how much eh ur contact lens?? klu yg ade power la..sory out of topic..
owh btw i kenal ur fren's sister..
i tak ingat sgt la..sbb masa tu i beli terus skali byk2.. i think about 65 per box kot..
btw thnx for the info..
did the macaroon last for one week?